We were meant to be visiting my family in Italy for a holiday over the Easter break. Then I discovered my daughter’s passport had expired 10 days previously. So we found a passport office near me but found that we didn’t have time to renew it. We needed to pick ourselves up from the disappointment, so we searched for a UK holiday. 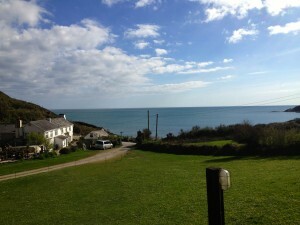 We booked a contemporary, luxury, self-catering holiday home at The Bay, Talland, between Looe and Polperro in Cornwall. 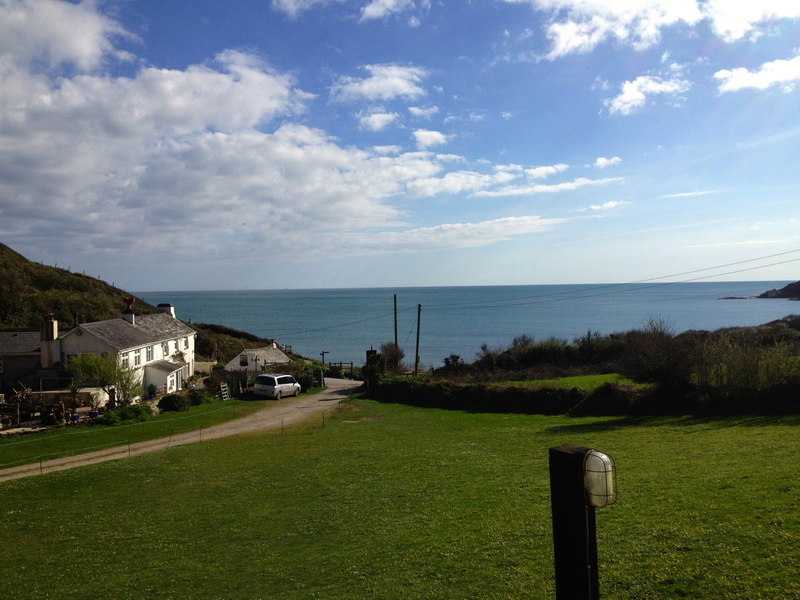 Situated right by the pretty Talland Bay, it had all the mod cons as well as a lovely heated pool complete with sauna. 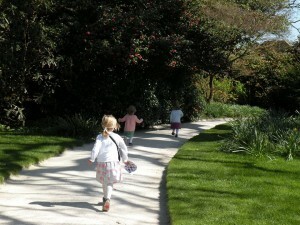 Toys and consoles at reception, competitions and even an Easter egg hunt, ensured the children loved the place. Our first excursion was to Seaton Beach, which was a few minutes from where we were staying. 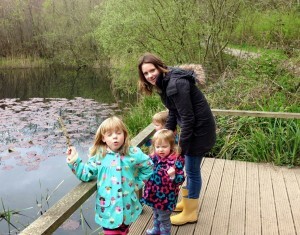 It wasn’t the prettiest of the beaches we visited, but the kids liked it and there was a great Woodland Nature Walk right next to it, which takes you through Seaton Valley to the village of Hessenford and right to a welcome pub for lunch. We saw all manner of flora and fauna, and the girls were thoroughly engaged; so much so that even the twins – at two-and-a-half years old – managed to walk three-and-a-half miles. It was a really good walk. I think this was one of the highlights for all of us and we spent hours and hours there as there were so many interesting things to see. If you know some of the history behind The Lost Gardens, it’s even more remarkable. The Lost Gardens lay dormant and neglected under decades of overgrowth but were restored on a shoestring budget and unveiled in 1992. 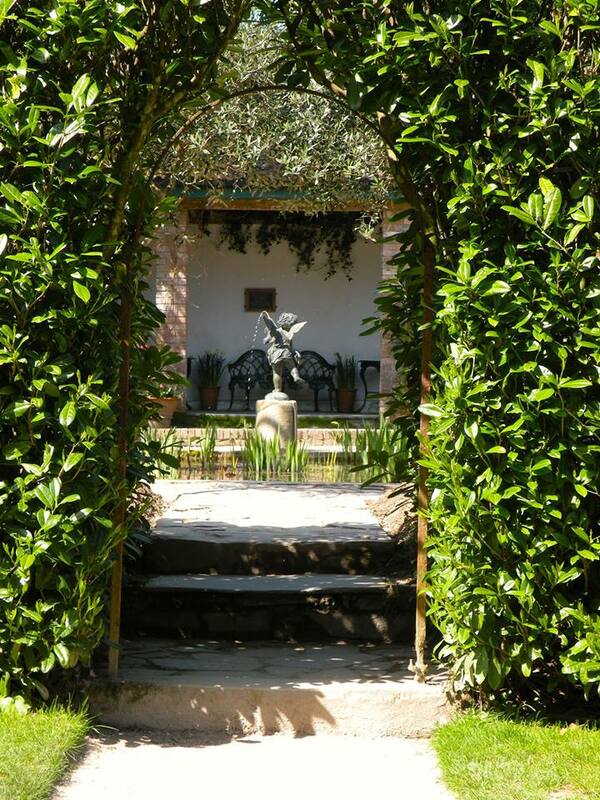 The gardens are vast yet so many parts have the intimacy of private gardens that you’ve been invited into. The rope bridge spanning part of the jungle. On admission, the children immediately received compasses, pencils, bird bingo and an object search game for the jungle section. Sofia (aged 5) was in her element spotting birds along the woodland paths (on one of a number of trails) as we made our way to the sub-tropical outdoor jungle. The jungle was brilliant and all three were really interested in what they were seeing and I was fascinated by its microclimate. 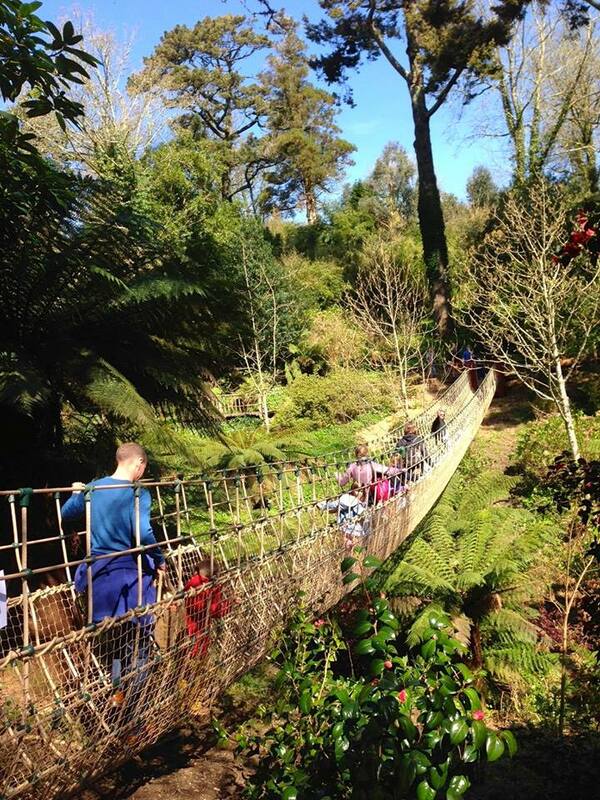 The very recent addition of a long rope bridge ensured this section was a major hit. You can take a buggy around the top section of the jungle, but have to park up if you want to explore the depths. My two-year-olds did very well with the steps down and the stepping stones across ponds, but younger ones might struggle. After lunch at the Heligan Tearoom, which had a wide choice of lovely home cooked food (and produce from the onsite bakery), we visited ‘The Northern Gardens,’ which are home to the Productive Gardens, which include the vegetable garden, the melon yard and the walled flower garden complete with over 200 varieties of fruit and veg; and the Pleasure Grounds. 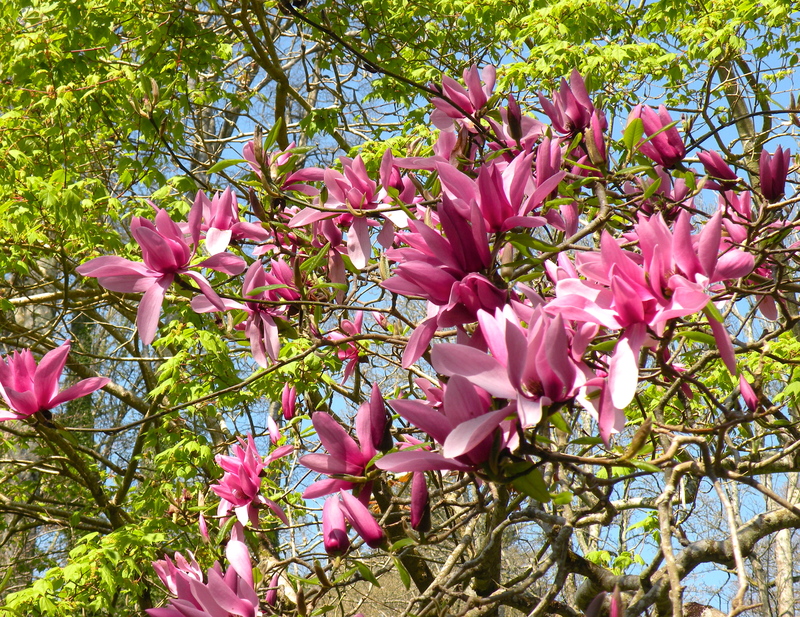 The Pleasure Grounds had so many nooks, crannies and paths and included Flora’s Green, which provided a spectacular display of exotic plants and trees, which are particularly beautiful at this time of year. 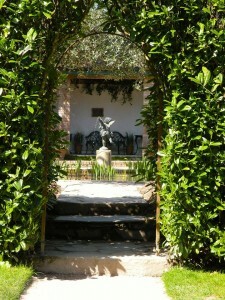 We also visited the Crystal Grotto and wising well, the Italian Garden and Sundial Garden. There was something to see around every corner, from natural sculptures to bird houses and scarecrows. We then moved onto ‘Heligan Wild’ where the girls got to feed Dexter cattle. We visited Horsemoor Hide where we were able to view Heligan’s wildlife and do some bird spotting. 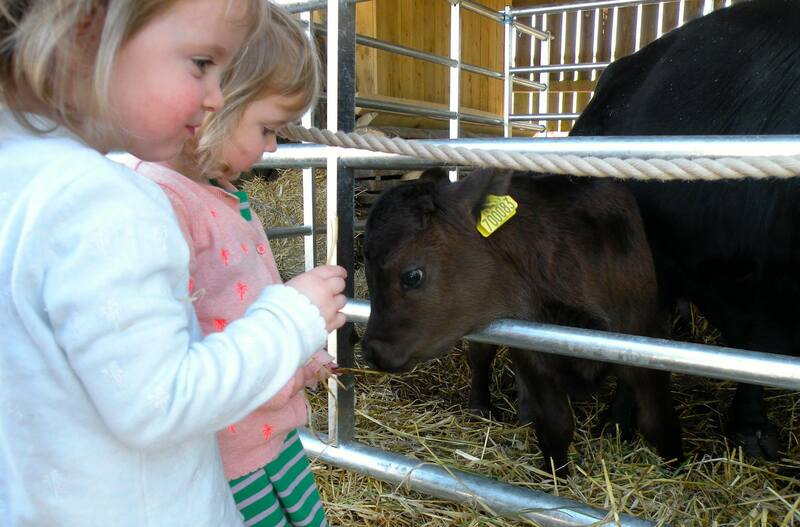 There were many more things to see and do, including the whole of the Wider Estate. However, we had to call it a day as it had been a long visit and the kids were getting tired. We’ll definitely be coming back though to explore some more! We went to the pretty small town of Fowey (‘Daphne du Maurier country’). This involved getting the Bodinnick to Fowey car ferry; a journey that took less than five minutes, but something that the kids loved. Our first stop was the interestingly named Ready Money Cove Beach. This was a great little cove and we had great fun playing on the beach. 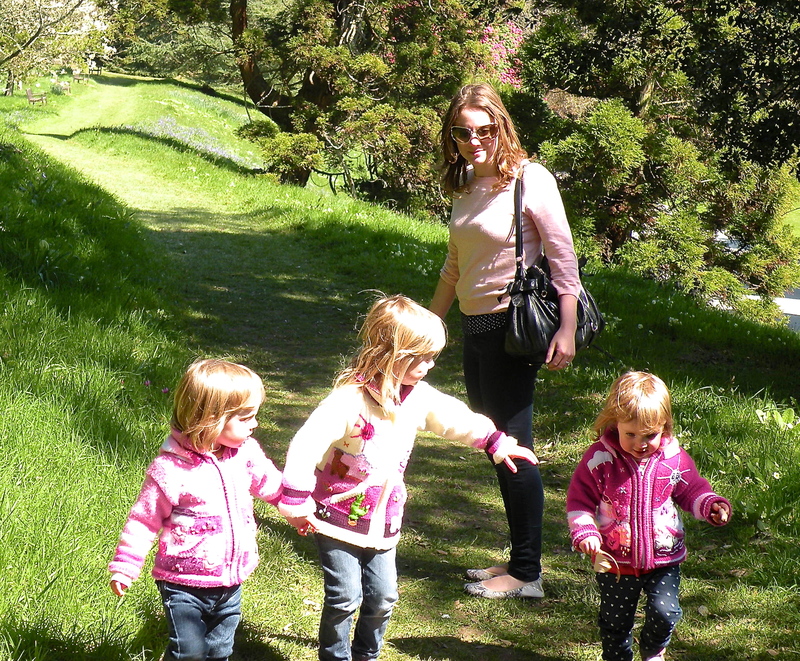 We did want to head to the nearby St. Catherine’s Castle, but the steep walk looked a bit ambitious for three little ones plus a buggy. In Fowey itself there were lots of lovely little shops and great independent cafes and restaurants to eat in. The harbour is lovely. Watching Liverpool v Manchester City in the Fowey Royal British Legion with three children was also quite an experience! 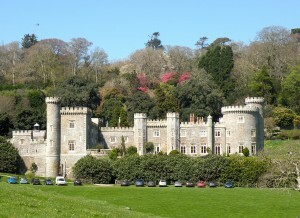 Caerhays Castle on the Caerhays Estate is nestled in a pretty valley between Truro and St Austell. The children are fascinated by castles and they weren’t disappointed. The 120 acre gardens are beautiful, hosting amazing camellias, rhododendrons, azaleas and magnolias amongst other pretties. It was a beautiful display that can be enjoyed on four different walking routes, which provide views of the lake and sea as well as the rest of the estate. You do need to go in very late winter or during spring as there wouldn’t be much of a floral display otherwise (probably best to check before visiting so staff can advise). 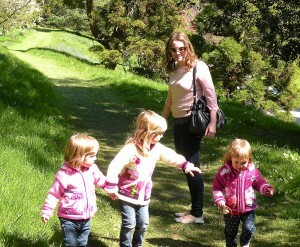 Although not really aimed at children, they enjoyed the walks we did and managed it comfortably. We didn’t take the buggy, but I imagine some of the walks could be quite a challenge if you were pushing one. Porthluney Cove Beach (also known as Caerhays Beach) is also part of the Caerhays estate and is beautiful. 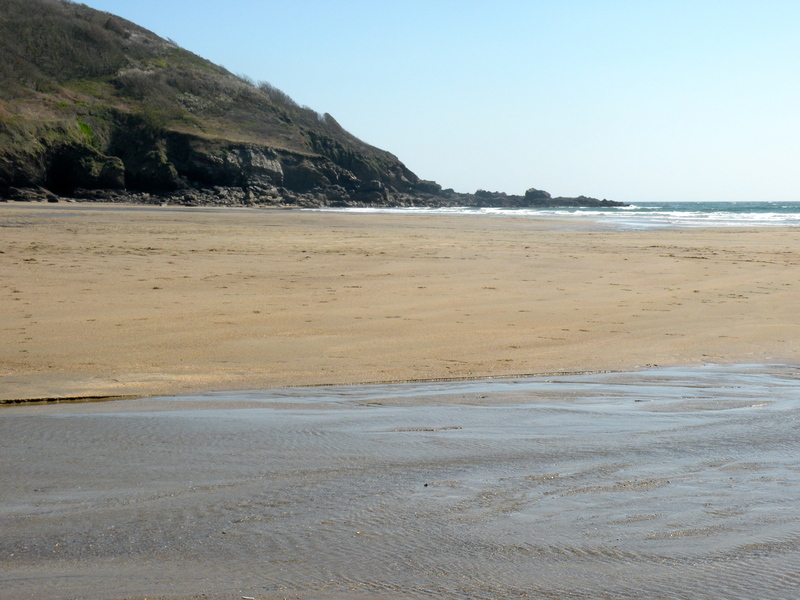 There were big expanses of golden sands and plenty of rock pools to make it interesting. I think this was our favourite beach (and we visited many). 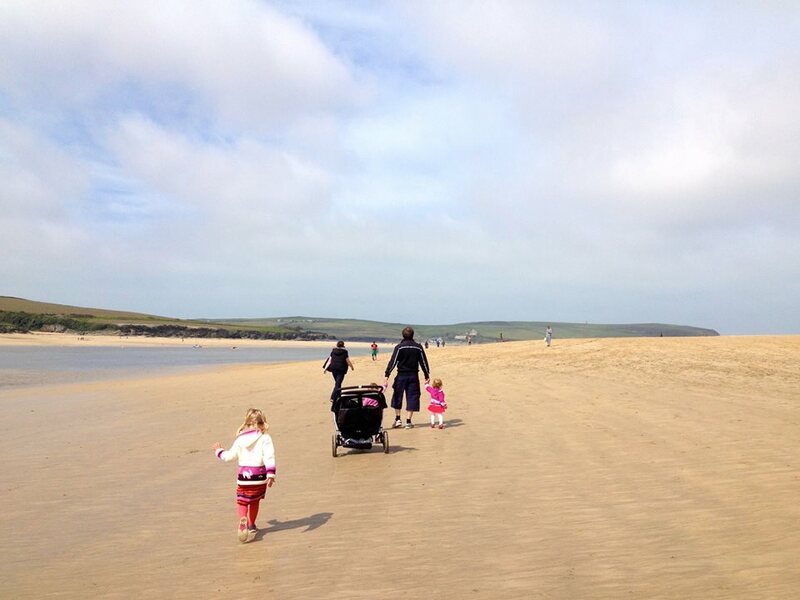 We had some lunch in Rock (sadly not at Nathan Outlaw at the St Enodoc Hotel), played on the lovely sandy beach and then took the boat the short distance to Padstow, which probably requires very little introduction. We had a good mooch about and had yet more Cornish ice-cream from one of the many parlours. Oh it does look like you had a great time! Fowey was one of our favourite Cornish towns, and the shops are awesome! 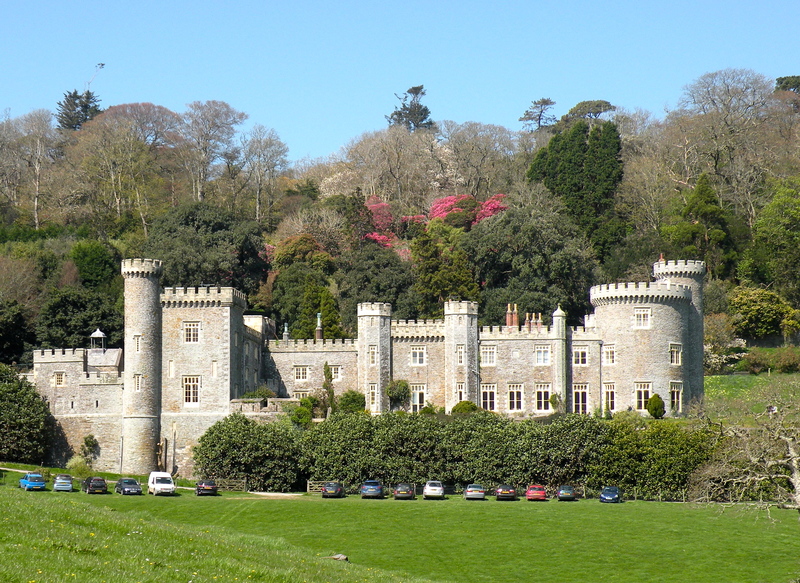 Next time you’re down there, use your NT and go to Lanhydrock – beautiful! I really liked it. The Liverpool v Man C game at the Legion was a bonus though 😉 Will certainly go with your suggestion of Lanhydrock next time. Thanks for the inspiration and the recommendations. I’ve just booked our holiday cottage near fowey for a couple of weeks time. Will definitely be visiting some of these places! Such a lovely part of the world. Have a great time. 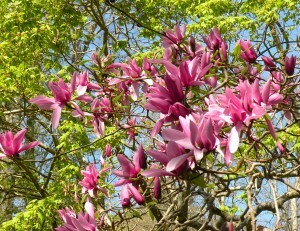 Hope you’re as lucky with the weather as we were!